BPD is thanking one community member on their Facebook page after she donated a car to the K-9 unit. Janet Poteete says she donated the car so K-9 Officer Hank could ride around in style! 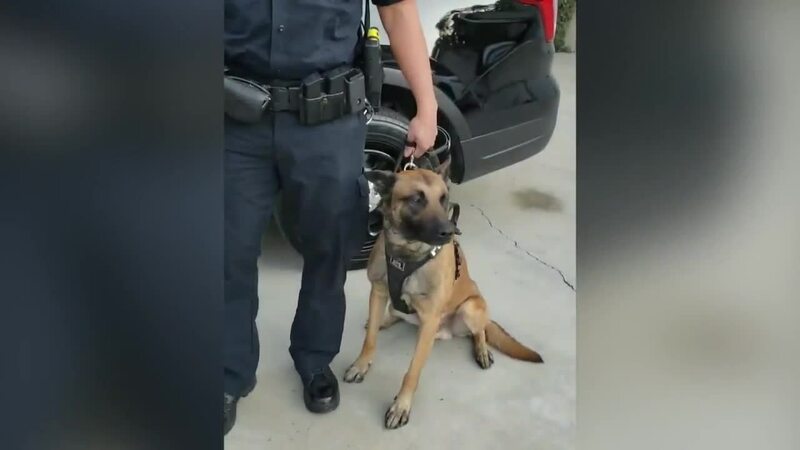 BAKERSFIELD, Calif. — The Bakersfield Police Department is thanking one community member after they say she donated a car to the K-9 Unit. BPD posted a video on their Facebook page thanking Janet Poteete for her generosity. In the video, Poteete says she donated the car because animal causes are her passion. She also says K9 Officer Hank needs to ride around in style!